There is always a huge build-up of anticipation around the birth of a new BMW ‘M’ car, and the new BMW M2 has had it no differently. Ever since the BMW 2 series came along a couple of years ago, speculation has been rife about an ‘M2’. 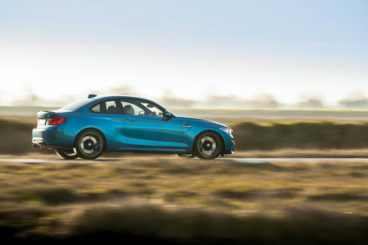 The M235i came on the scene – a ‘semi-M’ car hinting at ‘full-M’ possibilities; spy-shots then started to appear on websites and magazines, and then, finally, came today – the full launch of the new BMW M2. Its predecessor in spirit – the BMW 1M – has gone down as one of the best M cars built, and is now a bit of a collector’s item. The BMW M2 has a lot to live up to, but it certainly looks ready to take on the challenge. Its muscular, formed shape sits menacingly when stationary, and with keys in hand, it’s almost impossible to resist it. What does the BMW M2 drive like? The new BMW M2 uses the same 3.0-litre six-cylinder engine as the M235i, but some ‘M’ magic has been sprinkled over it so it now produces 370hp. That sort of power in a compact coupe means high speeds 0-62mph is reached in just 4.3 seconds, and the car is restrained by a limiter at 155mph. Rest assured, with no limiter it would reach a far higher figure. 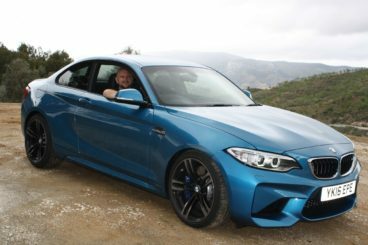 A recipe of a small overall footprint and high power output normally causes a car to be a bit of a handful, but in the mountains around Malaga – and in rather heavy rain – the BMW M2 felt exceptionally stable and planted in the corners. That a compact 370bhp coupe can inspire confidence on twisting roads and in rather challenging conditions is a testament to BMW’s engineering work. As it turns out, the BMW M2 doesn’t just look muscular, it really feels athletic. Project engineers have stiffened up the BMW M2 and – where possible – reduced weight too. While it might strike a pose on your drive, it backs it up when it really counts. Responses to inputs are sharp, communications to the driver detailed, and with the traction and stability controls left on, it remains tame even when the going gets tough. With the BMW M2 switched to ‘Sport’ mode, the sound is just fantastic. BMW’s famous family line of six-cylinders has rarely sounded so sweet, and the extra sauciness coming from the exhaust can’t help but produce giggles from both driver and passenger. What is the BMW M2 like inside? Being a BMW, the interior has to be top-notch, and the extra touches bestowed upon the M2’s cockpit are subtle but special. 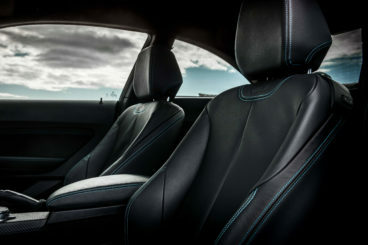 Blue stitching holds together the leather and the backrests on the seats proudly display the famous M logo. Ahead of the driver, there are special BMW M2 dials sitting behind the steering wheel so you never forget what you’re driving. Aside from these unique touches, there really isn’t much change inside the new BMW M2. Then again, there doesn’t need to be. BMW makes some of the best designed cabins on the market, with fantastic supportive seating and a family-wide driver focused interior. 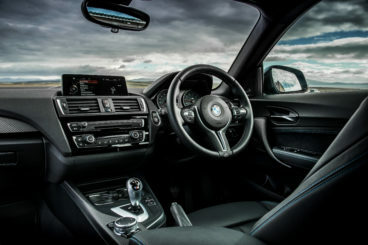 The ‘i-Drive’ system, in particular, is one of the better infotainment systems, and has inspired similar systems in the vehicles of other manufacturers’ products. Being a compact sports coupe, practicality is compromised – not that you’d buy an M car for that purpose anyway. There are only 390-litres of boot space available and the back seats aren’t really useful for anyone except younger children. One of the biggest interior features of the BMW M2 will be your choice of gearbox. Purists will prefer the six-speed manual so they can really feel involved with the experience, where more casual drivers may opt for the seven-speed dual-clutch automatic. What are the BMW M2 running costs like? The BMW M2’s 3.0-litre six-cylinder engine is a powerful unit, a real pleasure to control. Often its excellent economy performance is overlooked, though, which is a shame as it is arguably one of its best attributes. The combined figure for fuel consumption is listed at 33.2mpg, which is mightily impressive for a unit with such a high output. CO2 emissions for the BMW M2 aren’t all that bad either; just 199g/km is emitted, meaning you’ll pay £265 a year in road tax. 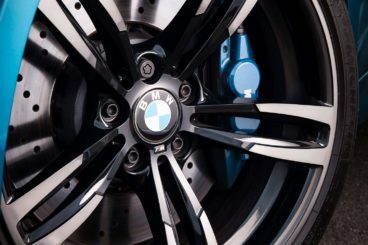 If the BMW M2 is driven hard, tyres and brakes will be a big cost. With 370hp being driven through the large rear wheels, they are bound to wear out quickly if used with enthusiasm, and the brakes will follow suit. High quality parts should be used in high performance cars, so make sure you budget for this. As the BMW M2 a limited-production car – only 1,900 are coming to the UK – it is advisable to keep all servicing in-house with BMW in order to preserve re-sale value. 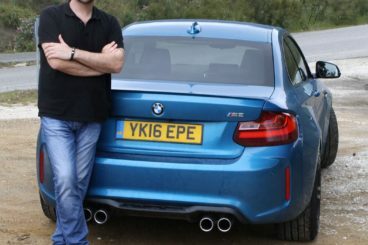 Is the BMW M2 any good? BMW has nailed it once again; the BMW M2 is everything a BMW M car should be – fast, agile, loud, and gorgeous. The handling is up there with just about any other sports car on the market, and with the wonderful 3.0-litre engine now better than ever before, it is really hard to find fault with. However, there is one problem we found – almost all BMW M2s are already sold. There aren’t many occasions as exciting as the launch of a new ‘M’ car. The latest ‘M’, fresh out of Bavaria, comes in the form of the BMW M2, a compact and powerful coupe based on the already excellent – and already fast – BMW M235i. Priced from a few quid over £44,000, just 1,900 BMW M2’s will be made available for UK buyers – and almost all of those are already sold. Whether you’ve reserved one or not, we take a look at the BMW M2’s main rivals and see what else you might be able to get for your money. Over the last decade, Porsche has managed to cement the Porsche 718 Cayman S as one of, if not the, finest sports car on the market. The old recipe of precision handling and a simply beautiful singing six-cylinder engine hadn’t been drastically altered for quite some time, but the addition of ‘718’ into the name has really shaken things up a bit. Gone is the famous 3.4-litre six-cylinder engine, replaced now by a new 345hp 2.5-litre four-cylinder turbo unit deemed necessary by the lawmakers. ‘718’ as a brand is an attempt by Porsche to dress up the new smaller engines in order to make them more appealing. Enthusiasts are none too impressed mind, and there’s substantially less character in the new unit than the old. So, it’s confession time. We haven’t actually driven the Porsche 718 Cayman S yet, because it hasn’t officially been launched. However, we have driven the Porsche 718 Boxster S and can tell you that while the new engine certainly lacks the charisma and draw of the old six-cylinder, the new 2.5-litre is technically proficient – and appropriately powerful. 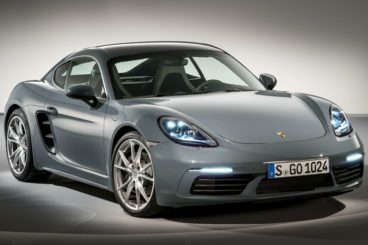 The German car maker says that the new Porsche 718 Cayman S will do (with the ‘PDK’ automatic gearbox and Sport Chrono pack options ticked) 0-62mph in 4.2sec and a top speed of 177mph. Little has changed in the body of the car according to Porsche. Subtle changes have been made to some suspension parts, though, so we’re expecting the famously sweet steering and handling to remain just as good as it’s always been. If the 718 Boxster is anything to go by, the fairly pricey £48,834 Porsche 718 Cayman S should be a total success. It feels like the Nissan 370Z has been around for a long time now, and it offers something completely different to the BMW M2 and Porsche 718 Cayman S. While the German offerings deliver precision and up to the minute technology, Nissan keeps it simple – and cheaper. Take one big 3.7-litre six-cylinder engine to drive the rear wheels, stick it in a sleek coupe body, and you have the Nissan 370Z. The ultimate 370Z is the ‘Nismo’. Nismo is Nissan’s in-house motorsport department, responsible for some of its most extreme products on and off track. Headlining the features, Nismo has increased power to 344hp and has also sharpened the overall appearance of the car to make it look a little bit more weaponised. 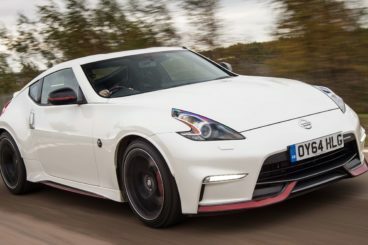 So far, so good with the Nissan 370Z Nismo, but the key difference between the Nissan and its German rivals is noticed immediately in the corners – it’s a different kind of beast altogether. The Porsche rewards precision driving and accurate inputs into the controls, and the BMW M2 balances refinement with old-school BMW ‘M’ car grunt, but the 370Z Nismo goes mostly for engine-dominant aggression. Steering feedback is good, but in some respects it shares more in common with a muscle car than the two rivals we have it up against here. It’s far more competent in a straight line than consecutive sweeping corners. The rear end is particularly lively, especially in slippery conditions. The £38,050 Nissan 370Z could represent perhaps the last of the sub-£40k normally aspirated six-cylinder engines. In an age where nearly every manufacturer is downsizing and adding turbos to its engines, the large V6 in the Nissan 370Z Nismo is a welcome reminder of how things used to be – even if isn’t quite as accomplished as we’d like. The intoxicating blend of ‘M’ performance with the agility and nimbleness of a smaller overall package is hard to find fault with, and at the very least it has given it a head start over Porsche. 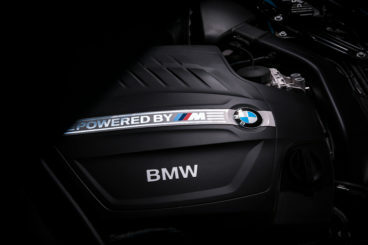 Ultimately, a four-cylinder engine is never quite going to be as appealing as a six-cylinder unit, and the BMW M2’s 3.0-litre heart is one of the finest out there. While Porsche’s 718 Cayman S has all the potential in the world – first drives of its sibling Boxster have been enormously positive – the allure of a Porsche has been tainted by the absence of a charismatic engine. Porsche will find it hard to justify a starting price not far south of £50,000. For the first time in quite a while the Stuttgart auto-maker could have had something to worry about, but with the BMW M2 only available in limited numbers, perhaps BMW has missed its chance. One thing we do know is, anyone who’s reserved a BMW M2 will be grinning from the first drive, to the last. Another car you may wish to consider instead of the BMW M2 is the ever so slightly mad £46,360 Mercedes-AMG SLC 43. AMG’s are always sharp and brash cars, and powered by a 3.0-litre V6 in a very compact open-top body, this could be the one that sets your heart racing.